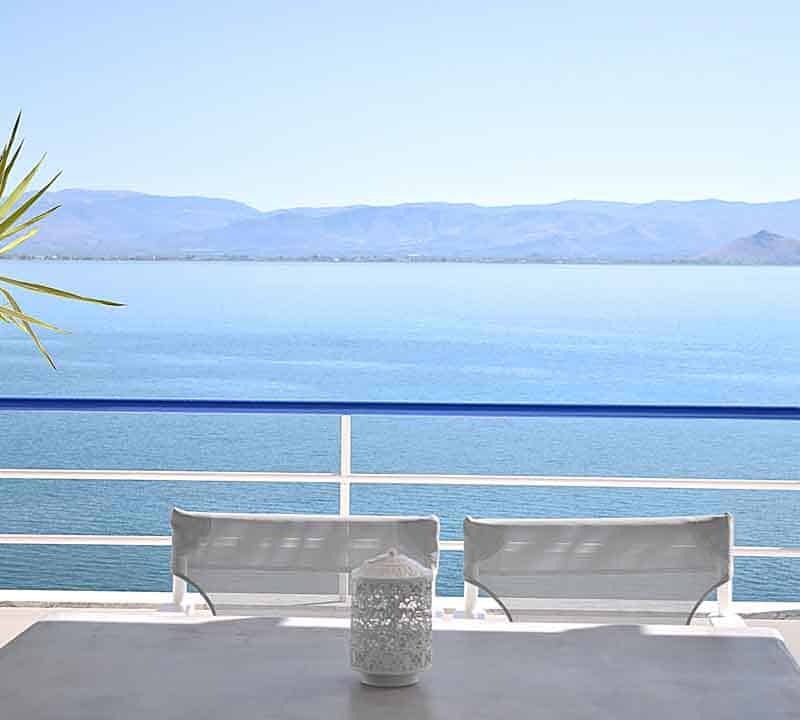 If you look where to saty in Nafplio, Meli Apartments are a ubique holiday accommodation in Kiveri village close to Nafplio. Apartments are located in a ideal place giving you the chance to relax on the sea and at the same time you can visit the most interest places in Argolis in a short distance. Due to apartments prime location, our visitors have the opportunity to visit the famous archaeological sites of Mycenae, Ancient Tiryns, Argos, Nafplio and the ancient theatre of Epidaurus, world-renowned for its acoustics. 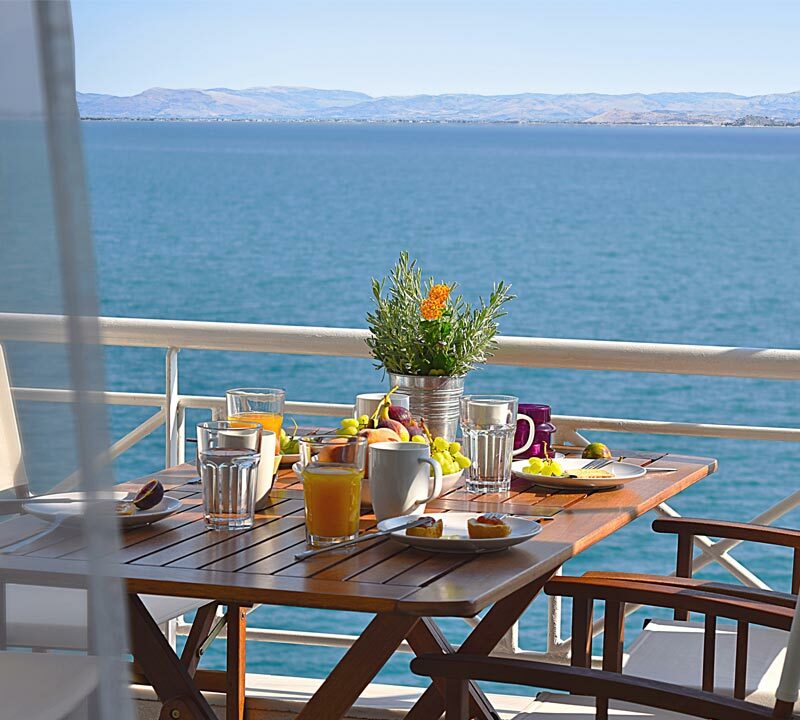 All apartments have their own balcony with amazing sea view. Meli apartments is a complex of self catering apartments just on the beach. The stairs of the apartments lead directly to the small beach in front of the apartments. Although the beach is rocky, the tenants have the opportunity to enjoy a swimming at any time of the day. A quiet coastal path in front of the apartments leads through the village Kiveri, ensuring access to the restaurants and shops of Kiveri, located at a distance of 200 meters up to 800 meters. The complex consist of Studio apartments, One bedroom apartments and a Loft apartment. There are air conditioning and free WiFi in every apartment.